Those companies who’ve been developing their own mirrorless systems are rather skimpy with truly aperture-fast lenses – f/1.4 or better. For example neither Canon nor Olympus nor Sony feature such a bright device in their line-ups; Samsung has just one and Panasonic- two. Even Nikon, with a system featuring the smaller sensor so theoretically the easiest for a construction of fast lenses, has just one of them. There are two praiseworthy exceptions, though. 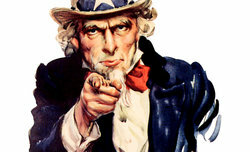 The first – independent optics manufacturers. For example Voigtlander boasts as many as three f/0.95 fast lenses designed for cameras with Micro Four-Thirds sensors. 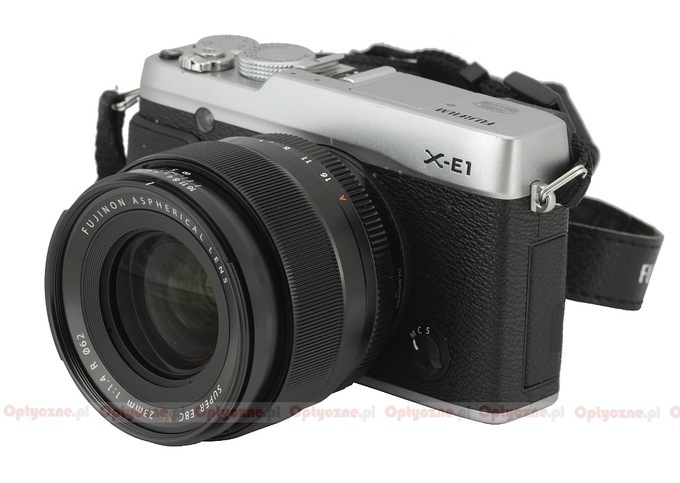 The Fujifilm company is another exception as it has already three f/1.2-1.4 lenses for their X system. The Fujinon XF 35 mm f/1.4 R, launched at the very beginning, with the first camera of that system, the Fujifilm X-Pro1, has been tested by us long time ago. 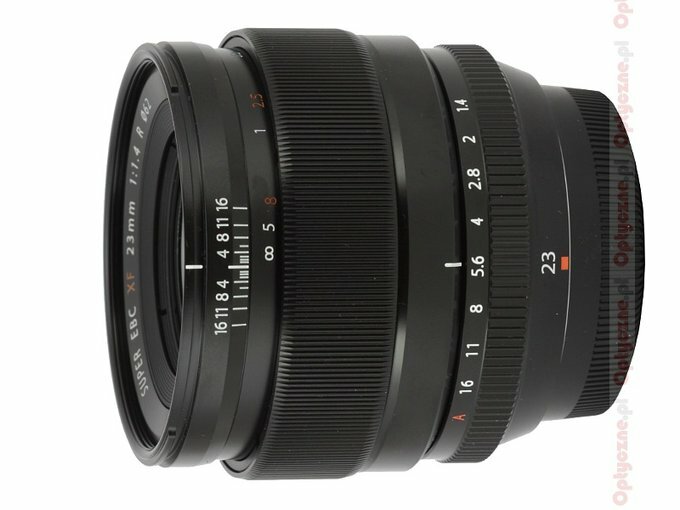 The Fujinon XF 23 mm f/1.4 R is the second fast lens and the Fujinon XF 56 mm f/1.2 R is the third, presented not so long ago. 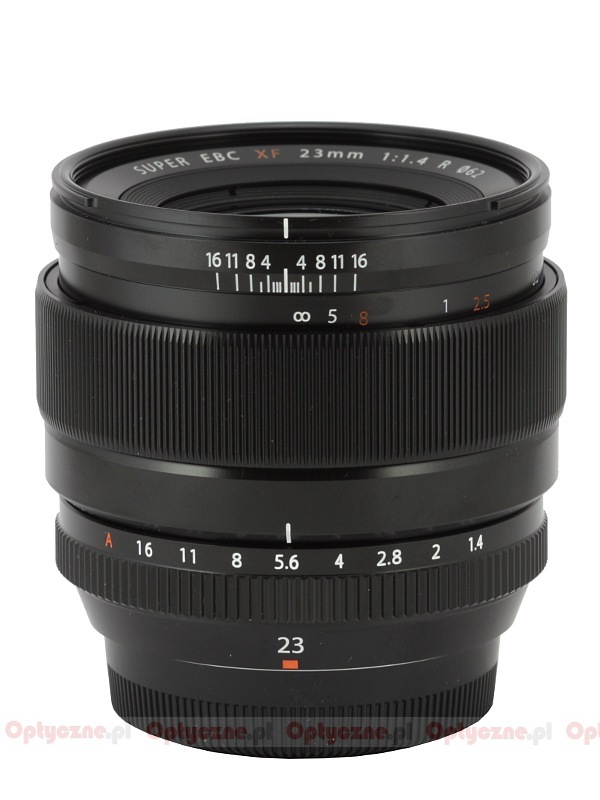 All of these are interesting but the Fujinon XF 23 mm f/1.4 R seems to have the biggest chances to be really popular because of its universal focal length and journalistic parameters. Joined with X-E1/X-E2 type of bodies it can be a great tool for street or journalistic photography – small wonder it landed close to the top of our list of testing priorities. Courtesy of the Fotozakupy.pl shop we managed to borrow it and test in our office.